Mihir Bose, one of our distinguished friends, argues in this guest blog that Europe will need to think outside the box if it is to cope with the most unique migrant crisis in its history – and he looks back to 1971 and the painful birth of Bangladesh for a telling point of comparison. The migrant crisis that has engulfed Europe has seen a whole range of responses, from Angela Merkel’s August Wilkommenskultur – although that is fraying a bit now that summer has turned to winter – to the stated willingness of those on the European far right to let the refugee boats sink in the Mediterranean. One thing everyone in Europe is agreed on, however: this is the worst migration crisis the continent has seen since the end of the Second World War. In terms of size and scale it certainly is, but the fundamental nature of this migration is very different. Europe has never experienced migration of this nature, or at least not for over a thousand years, and we need to understand how different this migration is, because failure to do so has distorted the migration debate and is the reason why Europe is yet to develop a humane, viable, migration policy. What makes this migration crisis different is that it is seeing people coming to Europe from other continents – Asia and Africa – whereas the Second World War refugee crisis was a purely European migration. At that time one of the biggest movements was 10 million Germans fleeing from the German provinces east of the Oder–Neisse line and from Czechoslovakia and Hungary to the western part of Germany then controlled by the three victorious Allies: Britain, France and the United States. 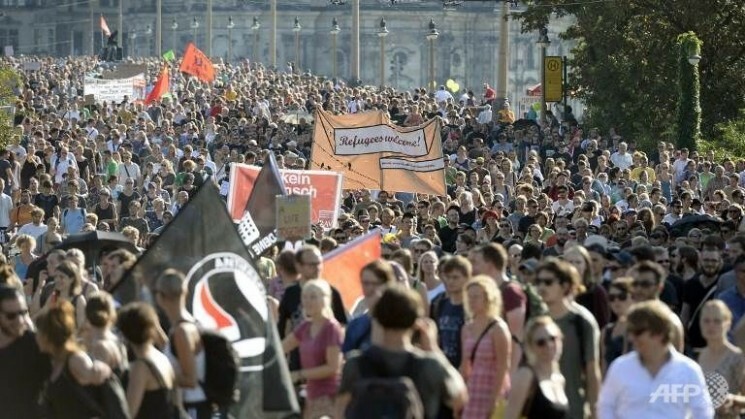 This movement of the Volksdeutsche, ethnic Germans, marked the end of a forward-to-east, backwards-to-west movement which had been going on for almost a decade. These Germans had been living in Eastern Europe since about the 13th century. Hitler’s Nazi regime evacuated them to Germany between 1939 and 1940, only for them to be resettled, after Hitler had conquered Poland, in the newly conquered land – before they were forced back west, once again, after Poland was liberated by Soviet forces. The other movements of people were also Europeans – Poles, Ukrainians and Latvians – moving from one part of Europe to another. There was also the migration of many thousands of Jews, survivors of the Holocaust, for whom Europe had become a slaughterhouse. This was an intercontinental movement – but it was Europeans moving to Asia, not the other way round, which is the current position. In that sense this was part of the migration from Europe, involving millions of people, that had been going on for almost four centuries as the Europeans built their vast colonial empires and populated various continents. Indeed, even after the Jewish state was created in Palestine, this European migration to other lands carried on for two – almost three – decades after the war. This period saw Australia, under its White Australia policy, welcoming many Europeans and in the process making Melbourne the biggest Greek city after Athens and Thessaloniki. In Britain this was known as the £10 Pom policy: for £10 the British could migrate to Australia, provided they were white. This would see some famous migrants, including fast bowler Harold Larwood – who had so terrorised Australian batsman on the bodyline tour of 1932–33 that it had nearly led to Australia quitting the British Empire. Unhappy in England, he was now welcomed under the £10 policy and lived there for the rest of his life. And it is worth recalling that the iconic post-war film, Brief Encounter, made in 1945, concerning an affair between a married woman and a doctor, ends with the doctor emigrating to South Africa. The fact is Europeans were still leaving this continent in vast numbers after the war, and continued to do so for many decades. Today’s migration not only reverses that flow but brings people with very different religions and cultures to Europe. For all the differences between Germans and Poles, it cannot be argued that they match the differences in culture and religion between modern Europeans and the refugees from Syria and other parts of Asia and Africa. In that sense, Europe has not seen such migration for over a thousand years, when, as historians tell us, the arrival of Islam in the Indian subcontinent triggered a westward movement of people from that part of the world, resulting in the formation of the gypsy communities in the west. In the reign of Muhammad Ghor (1149–1206), Muslims extended their reach into what we now call India. This is a painting depicting a scene from that era. 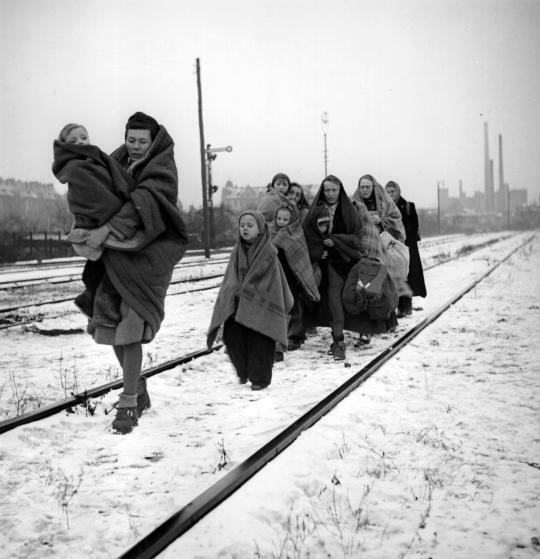 The other big difference between the migration we are seeing now and that following the Second World War is that in 1945 the movement of people began only after Europe was once again at peace. The migration we are coping with currently is coming even as the war in Syria still rages, with not only no conclusion in sight but no agreement as to what that solution might be. In that sense, what we are facing is more like what happened in East Pakistan, now Bangladesh. Indeed, the similarities between Syria and events in east Pakistan are so striking that it is surprising western policy makers or opinion formers have not commented on them so far. Today the Bangladesh genocide of 1971 is little remembered, although it was almost as horrendous as that of Rwanda. Let us recall it, because it may provide some lessons for Syria. Like Syria, which was artificially constructed after the First World War, the Pakistan that emerged as a result of the British withdrawal from India in 1947 was a somewhat unnatural state. 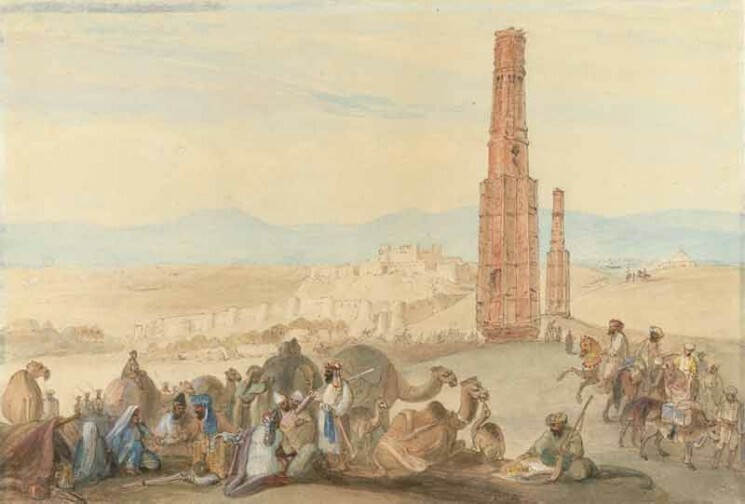 It was meant to be a home for the Muslims of the subcontinent but culturally there were vast differences between the Punjabi Muslims of West Pakistan and the Bengali Muslims in the east. As the events of 1971 proved, religion could not overcome these cultural differences – and matters were not helped by the fact that the two halves were separated by 1,000 miles of Indian territory, which made no secret that it did not want Pakistan to exist at all. In 1970 the Avami League, dominated by the Bengalis in East Pakistan, won the country’s first truly democratic election. The outraged Punjabis of West Pakistan, who had ruled the country since its birth in 1947, unleashed a brutal crackdown, killing a quarter of a million Bengalis – maybe as many as a million – with 10 million refugees fleeing to neighbouring India, and thousands of women being raped. There was also a ferocious ethnic cleansing of the minority Hindu population of East Pakistan. 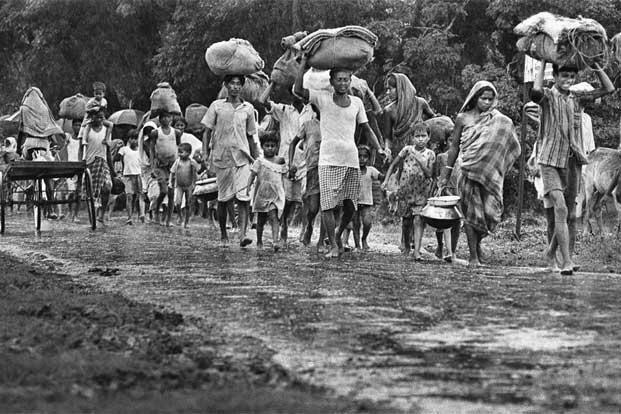 Refugees fleeing East Pakistan (shortly to become Bangladesh) into India at the time of the war of independence, 1970. The Museum of Independence in Dhaka, which has evidence of Pakistani brutality, is one of the most chilling museums I have ever been to. As this blog is being written, Bangladesh is holding war crimes trials for those of its citizens who helped the Pakistanis in their genocidal activities – 45 years after the events in question took place there is no closure, and the trials hugely anger Pakistan, which refuses to accept what happened and still presents the break-up of Pakistan as the result of Indian machinations. India’s intervention in the final month of the nine-month conflict was triggered by a Pakistani attack on its territory, though some have suggested that it might also have been influenced by the cost of supporting so many refugees from East Pakistan. Within weeks of its involvement, the war was over and most, if not all, of the 10 million refugees that had flooded into India at the start of the war went back to the newly created Bangladesh. 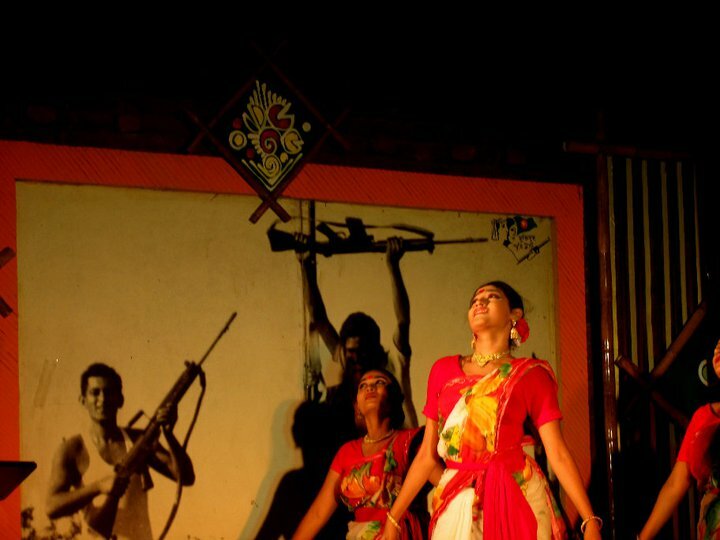 An Independence Day celebration held at the Museum of Independence in Dhaka. Despite the scale of the 1971 migration crisis, one crucial difference between it and today’s Syrian-derived crisis is that the East Pakistani refugees had much in common with their Indian counterparts in west Bengal. In today’s migration crisis, there is no neighbouring country that can play the role India did then: Jordan, which has borne the burden of the refugees, is incapable of such a role; and Egypt, with which Syria had a union when President Nasser ruled Egypt and which, as the greatest Arab country, would have been ideally suited to play the role of India in this crisis, is so consumed by its own problems that it cannot even conceive such a thing. So what does all this amount to? It means there can and will not be an easy solution to the Syrian crisis that lies at the root of Europe’s migration problem – and to go on drawing parallels with the Second World War refugee crisis means ignoring how much more complex this crisis is. We must also consider that for all the humanitarian motives of western statesmen, most notably Merkel, integrating very different communities is never easy. Even after 1,000 years the gypsy community remains a very distinct community in Europe, often distrusted, if not hated, by the majority community in many European lands – and one that Hitler tried to destroy. This does not mean the refugee crisis cannot be solved – but it needs to be tackled along very different lines, or we are building false scenarios, with potentially worrying knock-on effects. As the security forces in France and Belgium come to grips with the dreadful terrorist attack on Paris, one of the most chilling discoveries has been that a passport of a Syrian refugee was found near the body of a dead suicide bomber. Although this was later discovered to be a fake, the inevitable conclusion people rushed to was that ISIS jihadists were infiltrating the refugees pouring into Europe and that therefore all such refugees were suspect and must be kept out. There is no proof that the Paris bombers were Syrian refugees – not even one of them – but it is a temping conclusion to jump to given how little we have considered the unique nature of this refugee crisis and how it requires Europe to think of solutions that are outside the box. It should not be beyond Europe’s powers to devise such solutions, but it cannot be done if we go on comparing this to the refugee crisis after the Second World War merely because the numbers are the same.